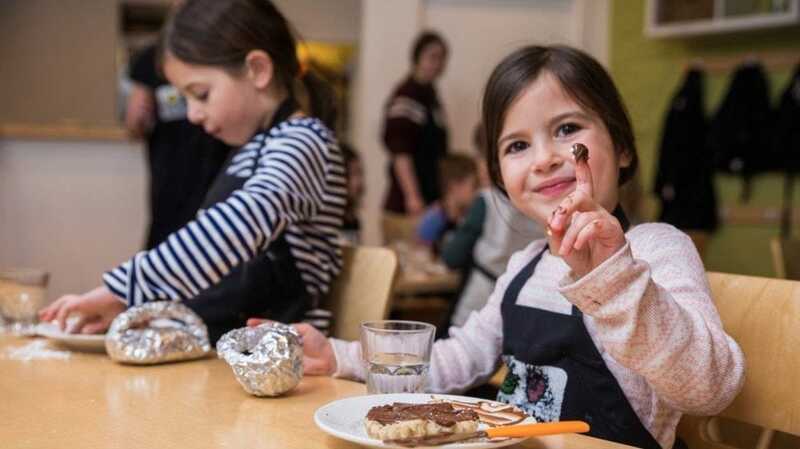 Getting your kids to learn cooking can be easy if you start them off with making things they like to eat. And kids love dessert a lot, so that’s a perfect starting point. 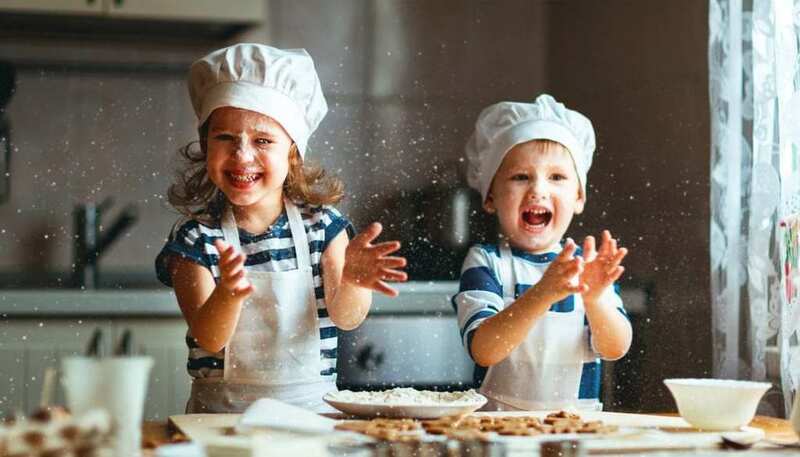 Let them have fun in the kitchen with dessert recipes that are kid-safe without involving boiling, baking, or any contact with heat. The following are dessert recipes your kids can make by themselves, or with just a little help from an adult. This cherry dessert salad couldn’t get any easier to make, requiring only four ingredients and a couple of steps. 1. Empty the cherry pie filling into a mixing bowl. Add whipped topping and fold in. 2. Add the canned fruit and mix. This one will take just five minutes and will definitely excite the kids to get such a delicious treat done and ready so fast. 1. Mix brownie mix and peanut butter in a medium sized mixing bowl. Stir until combined. 2. Add milk gradually and stir until dough is your desired texture. 3. Scoop tablespoonfuls and shape the dough into balls with your hands. 4. Serve at once or store in a covered container in the refrigerator. Kids love layering, so they’ll definitely love layering up sweet things in the kitchen. This recipe is fun, and requires no baking. 1. Put 2 tbsps pudding into a 8 oz glass. Arrange slices of banana on top then sprinkle with cookie pieces. Spread 3 tbsps topping on the gingersnaps. 2. Repeat the layering once more. Top with whipped topping. Let the kids explore more layering with this recipe. This is easy, just making layers of strawberry pudding, graham crackers and strawberry jam. It takes about half an hour to prepare. 1. Whisk milk into the instant pudding then fold in 1 cup of Cool Whip. 2. Place a layer of graham crackers in a 8×8 baking dish. Spread pudding on the crackers. Add another layer of crackers and spread with the remaining pudding. Put the final layer of crackers then refrigerate. 3. Heat the strawberries and sugar in a saucepan over medium heat until it boils. Simmer for 5 mins until it gets thick. Spread over the mixture in the pan and refrigerate. 4. Cut into 12 slices and top with Cool whip and strawberries. Serve.